Does it ever feel like the Universe is against you getting a snack? It’s a simple walk from the couch to the fridge, but there’s the pile of wooden trains to jump over or the dog who just wants to be rubbed. Finally you get to the kitchen and start rooting around for that chocolate you swore you stashed behind the butter but it’s now gone. 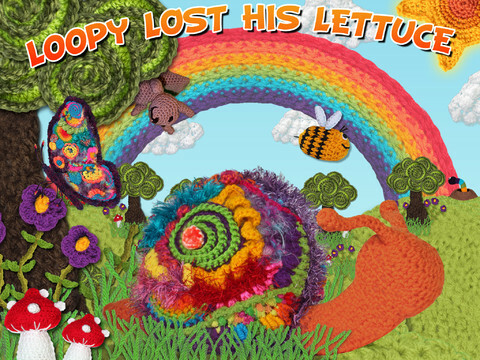 Loopy the Snail – star of Loopy Lost His Lettuce – just wants a snack too. He travels through different landscapes and seasons chasing his green leafy lettuce and helping different animal friends along the way. Interactive surprises and mini-games throughout the story keep players engaged and interested in watching Loopy’s journey. 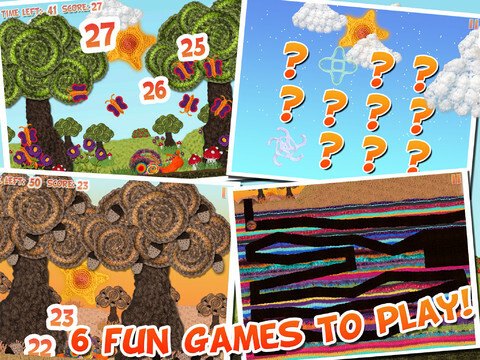 Like most storybooks there are two modes – Read To Me or Read To Myself – and six mini-games. Players can tap, shake, and tilt the iPad to see fun interactive animations. Games can even be played in one of three difficulty levels to adapt to the skills of the individual player. While all of that content is standard and easy to navigate, the one thing that makes this app stand out is the artwork. 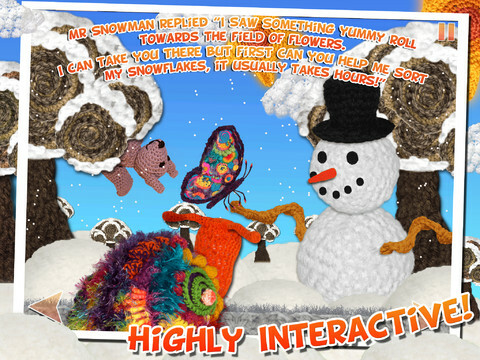 Composed of “freeform crochet” the animations are incredibly artful and vibrant; children will find new and different details each time the app is played. My kids haven’t had the pleasure of reading about Loopy yet but I keep re-playing the story because of the amazing artwork. The mini-games support early counting skills and are easy enough that my 3-year-old would have no problem following along. My 5-year-old would respond well to the interactivity in the story; I know I loved shaking the iPad and watching acorns fall out of the trees. Loopy Lost His Lettuce is a shining example of how original artwork and basic early learning concepts can be adapted for modern technology. At $1.99 it’s certainly well-priced – any child (of any age) will appreciate the intricacy and beauty of Loopy and his friends.